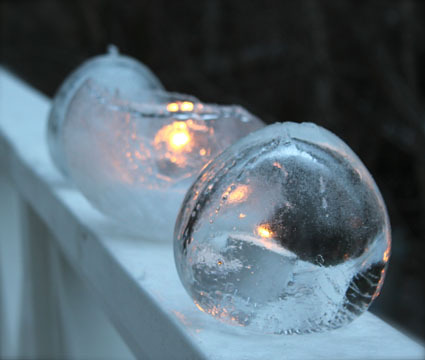 Beautiful ice candle holders, made with balloons. How‐to on Willowday. Cupcake hat for a little person. Very sweet. Pattern on Ucreate by All Things Bright and Beautiful. I love that it holds different shapes and sizes and colours of beads. How‐to on Cup of Delight. Ingenious idea for a cake topper! Now, where does one find an oversize clothespin? From Brooklyn Bride. Really hoping to knit this one day. Pattern generously shared on Sew Knit Me. 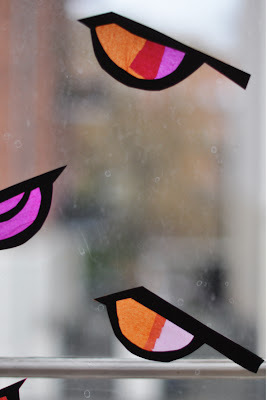 Simply delightful window decoration, and a wonderful craft with children. From Lilla A. More children‐friendly birds! 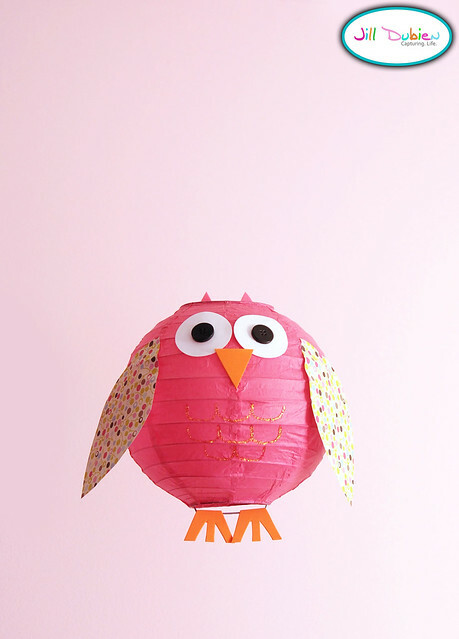 Cute owl lantern, by Meet the Dubiens. This is too adorable for words. 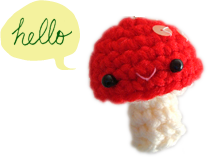 An excerpt from an upcoming book, Heart‐felt Holidays, pattern and tutorial for a mushroom love brooch! On Whipup. I really want to make that necklace!